As the holidays are upon us, most of our thoughts are dedicated to planning the perfect meal or buying the perfect gift. It’s hard to get out of the mindset of buying “things”, as it is so prevalent in our culture. But when it comes to family, you can offer so much more than the next trend or knick-knack. Here are some themes that we hope will bring love and meaning to your holiday. Inspiration. What inspires you? Is it a book, a song, a verse? Find a way to pass that inspiration along to someone. You can purchase a book and highlight the important passages, or have a quote or verse made into an art piece or craft. If it’s a song, place it on a CD. Perhaps it’s a person that inspires you. Consider a biography, or write a summary about that person and a list of things they have done or said that you find inspiring. There are so many directions you can go with this! Experiences. Experiences can give someone the opportunity to try something new, or will provide a means to participate in something they enjoy. Buy tickets to the zoo, movies, or symphony. Consider gifting a class, whether it’s cooking, painting, or racecar driving! You can also opt for a short vacation over gifts! It’s exciting to know the fun doesn’t end Christmas day, but there is a trip to look forward too. Supporting a Cause. Many people have causes near and dear to their heart, or have been touched by an issue in some way, and it would mean much more to them to give to that cause, rather than receive a gift. Many organizations allow you to offer a contribution on behalf of someone as a gift. Some organizations even offer matching your contribution during the holidays. In lieu of gifting all together, there are some families that make a large joint donation to causes or individuals in need. Memories. Taking the time to share memories and moments is such a warm gift. Perhaps it’s a photo of a special time you shared with that person. You can have it enlarged and framed. Or take some time to write about the person and the memories you have of them. Also, you may want to record a video of your stories! Words of Advice. Above anything else, your advice and wisdom will be treasured forever. Think of important life lessons you would like your family to gain understanding from. What can you share that will benefit them in life? 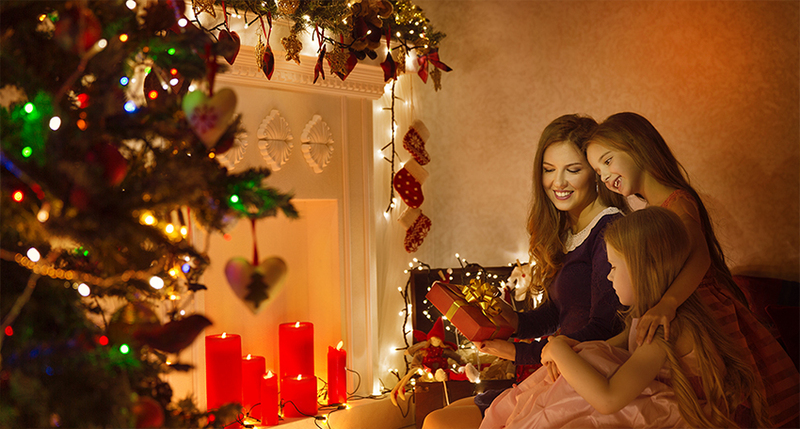 Holidays are a moment that you can reflect on what really matters, your family. Using gifting as an opportunity to make family time special and meaningful will create memories that last a lifetime. Things will only hold use and value for so long, but your experiences, stories and wisdom last for a lifetime.